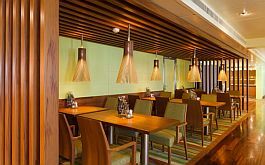 Located in Southern India, Kerala has been amongst the favourite destination for the Indian and International traveller. Kerala is largely known for its magnificent backwaters, Ayurveda messages and its vast spice gardens. Kerala also boasts about its extravagant hills covered with beautiful tea plantations that are sure to take your breath away. Kerala is just a place for not only the explorer but also for a lovely relaxed laid-back vacation. The greenery, the beaches, the backwaters, the sunrise and the sunset, all of this plus the pampered therapeutic Ayurveda spa messages are sure to leave you rejuvenated. If natural beauty is what you are seeking then Kerala is the place to visit. Thomas Cook Kerala tour packages are carefully crafted by our Travel connoisseurs to quench your thirst of a relaxed and an all in one experience of a lifetime. 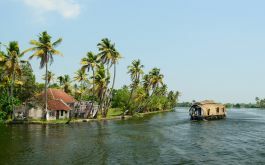 They cover almost every aspect of Kerala like living in house-boats to enjoying the local cuisine, to a visit to the grand tea plantation and many more of such experiences. Our Kerala Holiday Packages also come with a variety of twists. We specially design our packages for you depending on your requirements. We offer Kerala honeymoon packages, Kerala for the family vacationer and Kerala for the second innings holidayer. We cover it all. Kerala “The God’s Own Country” is also known for its wildlife experience where you can explore a variety of exotic birds, the deer and the elephants amongst other numerous animals and birds. 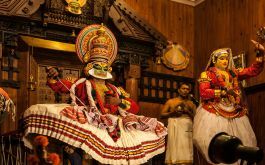 You can also enjoy Kathakali performances, the elephant ride and of course don’t miss the showcase of one of the most amazing forms of martial arts which originated in Kerala, known as the “Kalaripayattu”. Soaked in the waters of the Arabian Sea, Varkala town is a dream come true for the beach bums. Thanks to the perfect currents and waves, surfing is one of the most popular activities here. Soul & surf serves many tourists, foreign and local, and is among the best resorts that offer surfing lessons. Many local shops provide equipment (on rent) for varied sports adventures for the forever enthusiasts. The mystic view of the beaches at Varkala is jaw-dropping. Sunsets spend here are no less than heaven on earth. Along with being fairly cheap, Varkala is a complete soul-satisfying destination. Check out Kerala tour packages for best deals. Are you an adventure seeker? Do you enjoy replenishing amidst breathtaking nature and astonishing wildlife? We've got you covered. Step on the land of the Anamudi, a glimpse into natures own baby. It’s a paradise for someone in search of peace from their monotonous life and one can also trek across the highlands of Anamudi. A less explored gem of Kerala, make memories and live each moment spent in this wild land before it commercializes. The rawness of this place makes it a perfect getaway for the wildlife junkies. Well connected to the most important parts of Kerala, Anamudi is easily accessible. Yet another hidden gem of Kerala, Poovar is a small island situated near the state’s capital Thiruvananthapuram. 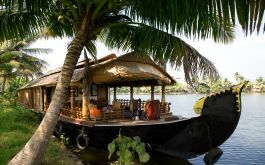 Crystal clear beaches, away from human interference, luing backwaters on which resides luxurious yet cheap hotels and villas, and an undying tropical vibe are Poovar's specialty. Not many packages include a stay in this blissful destination. Choose one for yourself through Kerala holiday packages. Outstretched with lush greenery, hills covered with angelic clouds and the continuous flow of mellow breeze is what Munnar is all about. A hub of varied cultural sightings, marvelous pieces of ancient architecture, and fragrant tea plantations can be seen everywhere in Munnar. It is considered to be the best vacay spots in the otherwise dry and fairly warm state. Along with a long list of sight-seeing Munnar provides, it also hosts some of the most luxurious and comfort-assuring stays for its tourists at affordable prices. Compare Kerala tour packages and pick one that best suits you. All things peace, history and nice, Kannur is a small town that hails magnificent forts, churches and beaches. Walk through the Cliff Walkway, dip in the waters of Payyambalam beach and stroll through St Angelos and Tellicherry forts. A dash of culture that kannur ornates, makes it full of warmth and serenity. Head towards Sundareswara temple and Kottiyoor Mahadev temple to experience the beliefs and traditions of the Keralites. 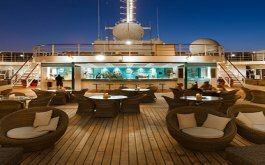 All the destinations are well equipped with good transportation besides they are well connected to airports, railway stations as well as bus depots. Reaching any part of Kerala is a comfortable journey. Kerala packages will give you exact insights and apt information.